Website migration doesn’t have to be nearly as difficult as it sounds. Despite the potential search engine optimization challenges, taking the right steps allow you to complete the process in a timely manner – and all without making any mistakes. You hope it doesn’t happen, but files can be lost during migration. Without a backup, these files may be gone forever. Fortunately, creating a backup file is simple. Furthermore, for most websites, it only takes a few minutes. Remember, it’s better to be safe than sorry. It’s not applicable for every migration, but you may need to 301 redirect old URLs to new URLs. Not only does this pass value from the old URL to the new one, but it also helps prevent broken links. One of the biggest concerns with website migration is losing search engine rankings. It’s important to migrate meta elements, which include things such as title tags and meta descriptions. If you forget to transfer these elements, you could quickly lose some or all of your rankings, thus experiencing an immediate drop in traffic. 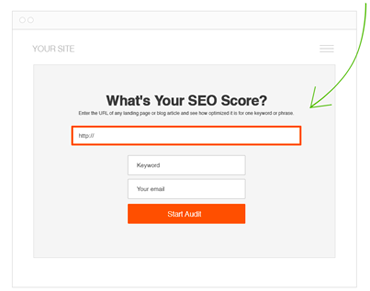 Once the migration is complete, test every page and element of your website. Are your contact forms still working? How about your conversion codes? Is everything in order in regards to your Google Analytics tracking? It’s easy to believe everything will work the same as it always has, but you won’t know for sure until you test it. You’ll feel a sense of relief once the migration is complete. You know you’re at the end of the line, so you get the urge to push your site live and move on with other tasks. Migrating your website should not permanently alter your traffic, but you should prepare for a dip. Because of that its best to perform your website migration during a slow time for your business. If your local business or website has seasonal downtime then that is the ideal time to migrate your site. That way if you do lose business its during the slow period when you have less to lose. After your site is live make sure to use a tool to crawl your site for broken links. You can use the Screaming Frog SEO Spider for free (and paid) to check for broken links (the http response ‘404 not found error’) on your website. Then diligently visit each page, post, and link and update the URLs. While having a few broken likes doesn’t do much harm, having thousands or more can have a domino effect on your site traffic and ranking. Common issues with links include pointing to the dev site URLs, HTTP vs. HTTPS, or older link structures from the previous website design. And if your site moved from a sub domain or sub folder installation you should have a number of issues with different variations of broken links. Having a custom 404 page for your website allows user to quickly navigate your site and find what they are looking for if they land on an outdate or deleted page. Additionally, Redirection will keep track of all 404 errors that occur on your site, allowing you to track down and fix problems. No matter how much time you put into your website migration, things can and probably will slip through the cracks. By following these website migration SEO tips, you’ll find it much easier to avoid common mistakes that can cost you time and money. Thanks for your blog it’s very nice.This is a really important information as it is very educational and helpful for us.Waiting for your next posting.